An incredible decorated cavern, has been opened for the public since 2006, part of Sistema Sac Aktun. Fragile stalactites and columns in such an abundance can be spotted only in this cavern zone. A perfect neutral buoyancy is an absolute must because of the delicacy of the formations. There are 2 caverns lines that could be combined together as one long dive (around 70 min), one taking you to the downstream section and one going upstream. Both are breathtaking dives. 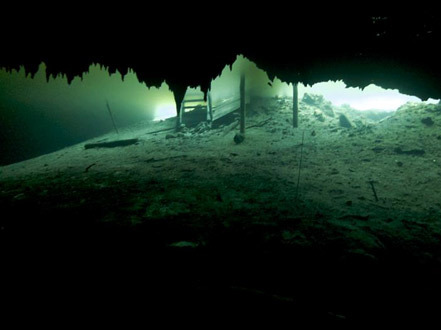 Dreamgate was the location for much of the underwater footage used in the filming for the BBC Planet Earth Documentary Series “Caves” episode as well as the BBC Natural World Documentary “Secrets of the Maya Underworld”.